How Long Should Be The PMP Preparation Time? Is 3 Months Enough? / How Long Should Be The PMP Preparation Time? Is 3 Months Enough? How much do you think should be a PMP preparation time? It could be 3 months to 5 years or anything in-between. It could be even less. Ramzy Haddad found it the hard way. But his PMP exam prep experience teaches us all a lesson that if you study hard and stay on course, you can crack the PMP certification exam in few months. You would think that the exam is hard and it takes lot of time to pass the exam. The exam is hard but you can certainly pass it if you choose the right material and study hard. This post contains prep experience of Ramzy Haddad, which will motivate you to pass early. I contacted Ramzy through Reddit and requested him to share his experience. He kindly accepted. Next words are from Ramzy. 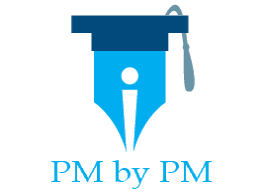 PMP Preparation Time – How Long To Study For PMP? First off, I am no way shape or form considered a smart person. It takes me a while to learn things, and this honestly took me 5 long years. in 2013, I took a 4PMTI training course on passing the PMP exam (as it was 5 years ago), this helped me understand the basics, but you don’t need to spend $1500 to understand the basics. Head First PMP is GREAT for learning how it all works together if you’re a visual learner, or if you don’t do great with technical documents. I read this book cover to cover with every activity completed. I loved it. I’ll read any Head First book now on any topic i’m testing in. It’s crazy how some tiny tweaks in a book will help new information stick in your head. Rita’s Exam Prep I thought was much harder to understand the concepts, and took longer to read. Also the sections where you test yourself and where you apply the knowledge just did not seem good enough as Head First. I will say that Rita had REALLY GOOD exam tips, and a good cheat sheet in there that helped me. Also, this is the only study guide out that’s geared for the new PMP test based off the PMBOK 6th Ed. With the Vmedu online tool, I used that mainly for testing. It tells you which areas you tested poorly in and gives you almost 100 questions for each process area plus 4 simulated exams at the end. It also has very poor instructor videos, but neat little fact power points. I mainly used this service for testing and reviewing last minute facts. Lastly, having the PMBOK printed out, and reading it from time to time on subjects you are having trouble with helped me a lot. Don’t waste time trying to memorize every input and output of every process, instead understand the logical relationships, so you know that you can’t have a Scope Baseline as an input to create WBS, because it’s an output of create WBS! When it came time to testing, I didn’t need all the formulas I had memorized, they mainly test you on “x just happened, what do you do next” – integration related questions. You need to understand the materials, not just memorize them and spit them out. It’s a marathon, not a sprint. Read, test, and apply your knowledge constantly. If you’re having trouble with a concept such as Quality Control vs Quality Management, apply it to your current job/life experience. Good luck! If I can do it so can you! How much time do you think is required for the PMP preparation? How long have you been preparing? Do you think it is OK to delay the exam until you are fully prepared? How Long Does It Take To Get PMP Certification? Is The PMP Exam Hard?